ZoomText Fusion is the ultimate accessibility tool for individuals with any level of vision impairment. ZoomText Fusion provides the best of both worlds – ZoomText, with its screen magnification and visual enhancements for screen viewing ease, coupled with the power and speed of JAWS® for screen reading functionality. Fusion is the perfect solution for schools, agencies, training centers, and businesses where individuals with vision loss are served. 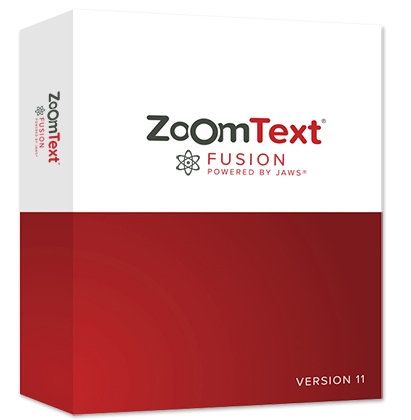 A single installer and one license gives access to both ZoomText and JAWS individually, or together when run as the combined solution – ZoomText Fusion.